In an effort to prove I’m not a perfectionist, I’m publishing this work of art I just created, while sketching out some ideas for an upcoming talk. 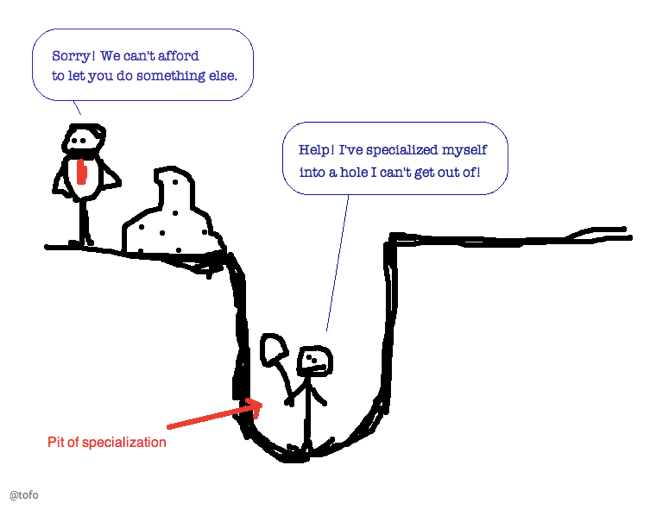 Being a specialist can be a double-edged sword. Have you experienced this pit? Did you like it there, or did you find a way to get out of it?